The Sony Cyber-shot DSC-H55 is a compact super zoom camera with an impressive set of features that is headlined by its ample 10x optical zoom. It features a brush metal finish and it’s small enough to be easily carried around. Buttons are well spaced out, allowing you to navigate between menus with ease. The addition of a jog dial makes it much easier to switch between the various modes. 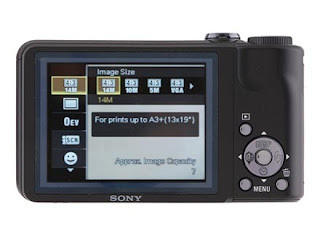 It comes with a wide 3-inch LCD display that performs well in daylight. The camera features a 14.1-megapixel sensor and a 25 mm wide angle lens, allowing you to capture a wider frame into your shot. It boasts over 10 scene modes, and also allows the user to experiment with manual and program modes. A nifty little feature is the sweep panorama mode. It works flawlessly and allows you to create images as wide as 7152 x 1080 (horizontal) or 4912 x 1920 (vertical). If you are not too keen on fiddling with manual settings, the iAuto mode automatically selects the most suitable mode, and does so quite flawlessly. The H55 is quite a stunner when it comes to capturing videos. Besides 640 x 480, it can also record at 720p (1280 x 720, 30 fps). Overall color and contrast are handled well, but colors that have a tinge of red tend to be slightly blown out of proportion. 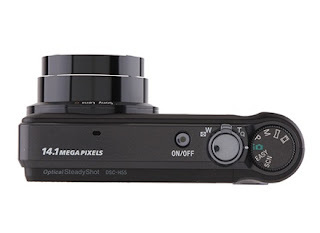 Image stabilization is also very good, allowing you to achieve a very steady video even at full zoom. In still images, it does a very good job at color reproduction. Here, the reds are well within limits, and the overall picture quality is sharp with no apparent fringing or color bleeding. Macro shots are a disappointment as the H55’s minimum focus distance is 5 cm. 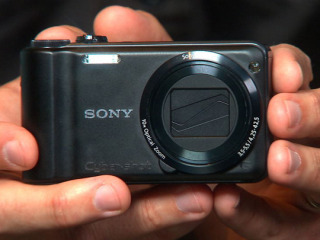 All in all, this is a good camera with a competitive price tag of Rs 14,990.